This is one of David Mills’ Saabs 900 CD, UK registered 11th May 1984. It is the only ´900Turbo4cd´ currently licensed for the road in Great Britain. And David is the second registered owner. 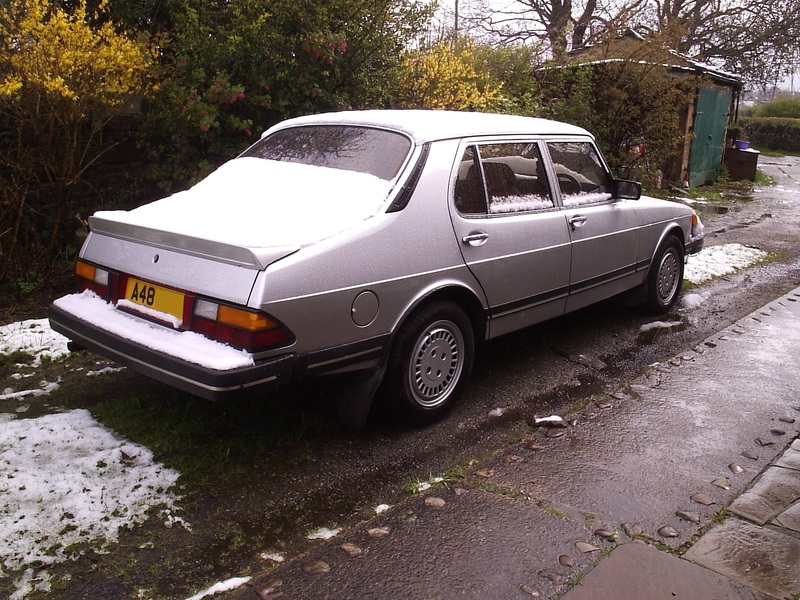 It was bought new from SAAB dealer Yarnolds of Stratford Upon Avon by a (medical) doctor. 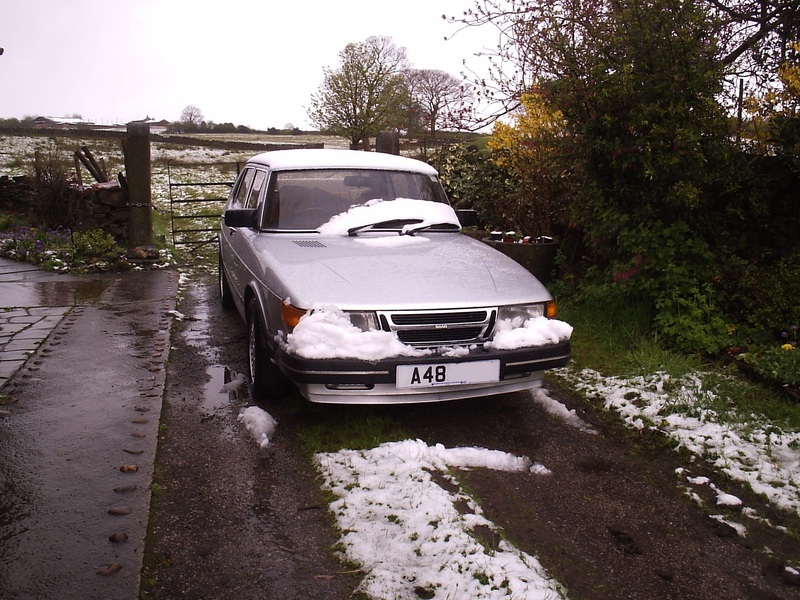 David bought it from an independent SAAB garage in October 1998 with approx. 117,000 miles recorded (187.000 km). He used it everyday until 2000 when the head gasket went. The automatic gearbox was also in need of work. David has since swapped to a manual gearbox, using engine & gearbox from a 1988 900 turbo 8 (water cooled turbo, but no intercooler). He also swapped the original blue velour for Sierra leather from another 900CD. The body has had some repairs to the usual areas, but nothing serious (door bottoms, rear mudflaps, RH front wing beneath washer bottle, engine floor beneath battery), but crucially the front wishbone mountings are good. 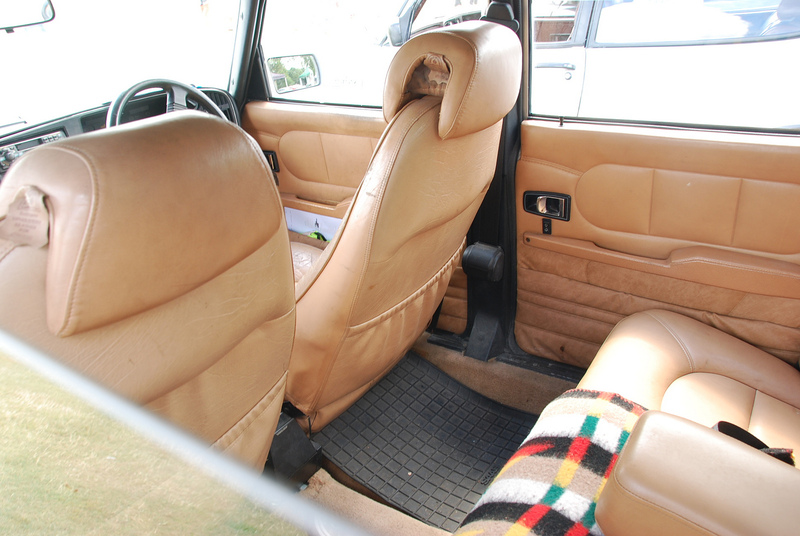 The front (leather) seats have been recovered, rears re-dyed to match. Its also had a lot of cosmetic bits done, door window seals, front & rear screen trims, refurbished alloys etc. All the electrical equipment works, including windows, air conditioning and headlamp wipers. By no means concours standard, but good “original”. 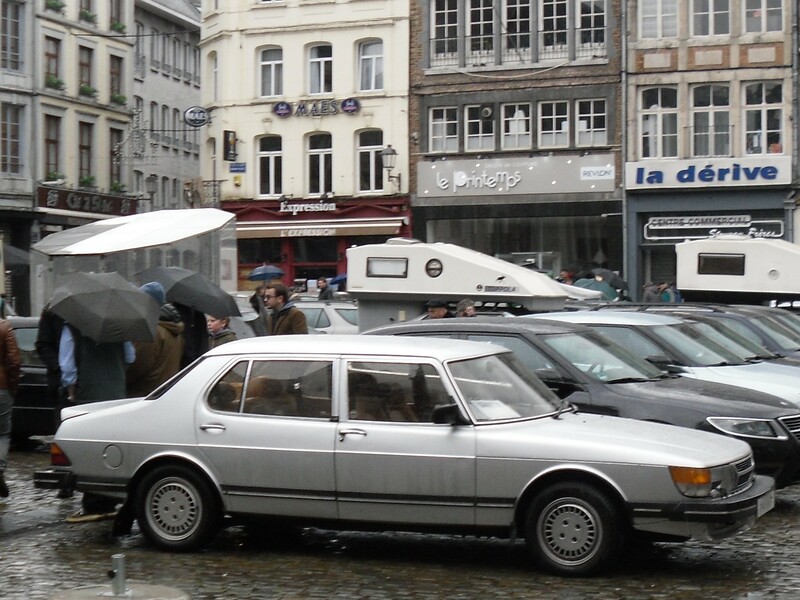 4th Huy European SAAB Meeting in November 2017.